Canberra, 10 June, 2016 – The all-new R8 Coupe has arrived in Australia, ready to begin the next chapter in the story of the iconic Audi supercar. The new R8 is leaner, more technically sophisticated and is now visually more angular. It also happens to be the fastest production Audi ever. 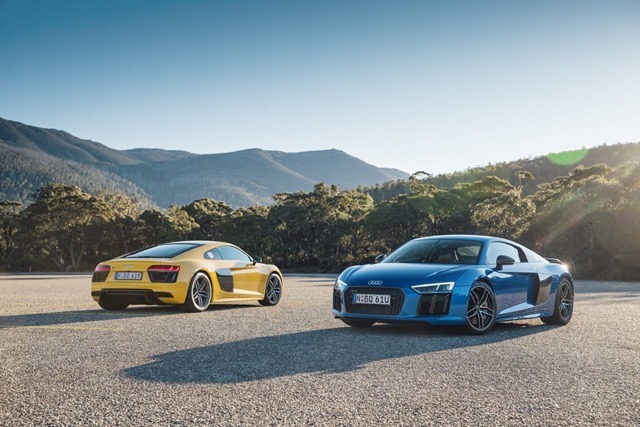 “The first R8 was a landmark vehicle for the Audi brand,” said Andrew Doyle, Managing Director of Audi Australia. “It put Audi Sport performance firmly on the map in the luxury supercar segment. 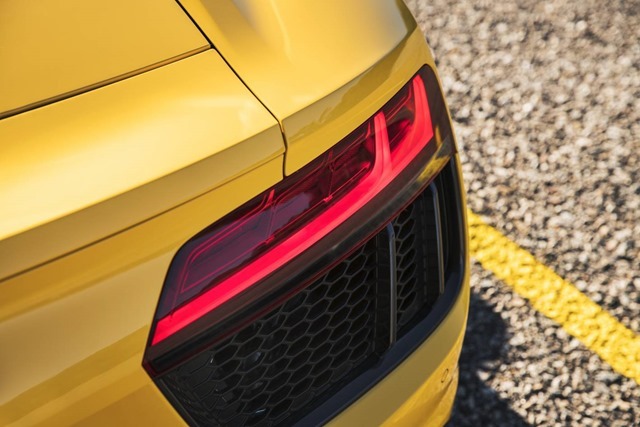 “The all-new second generation Audi R8 pushes the boundaries of what is possible for a modern supercar, while its sharper design hints at the progress that has been made beneath the skin. 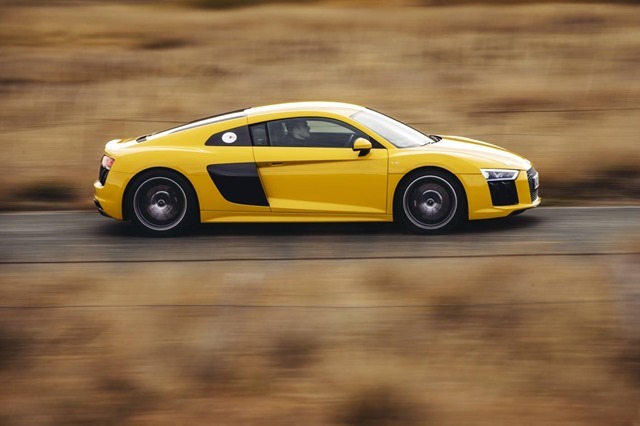 The new R8 is faster than its predecessor, and boasts technology that rightly positions the Audi Sport brand as an innovator, even among its highly desirable competition. “This second-generation R8 has lost none of the versatility that helped make it so popular in the first place. It’s just as comfortable and pleasurable to drive as an everyday mode of transport on urban roads as it is on hallowed racetracks around the world, or driven along some of our finest touring routes,” said Mr Doyle. The new 5.2-litre FSI V10 engine boasts incredible power and torque figures. It is, quite literally, the R8 LMS GT3 racing program that has been running since 2009, that has allowed engineers to push the boundaries so much further. 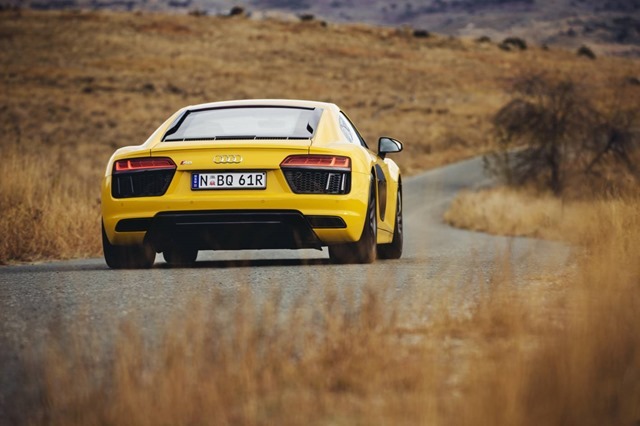 The new engine develops 397kW/540Nm in the R8 V10, and an astonishing 449kW/560Nm in the V10 plus. Capable of reaching 100km/h from rest in just 3.2 seconds, before a top speed of 330km/h, the new R8 V10 plus is the fastest production Audi ever built. In addition, the aural symphony of the V10 engine can be heard best in Australia, which is one of the only global markets to offer the trapezoidal sports exhaust as standard equipment. Despite this incredible performance, intelligent efficiency solutions ensure that fuel consumption figures remain responsible. 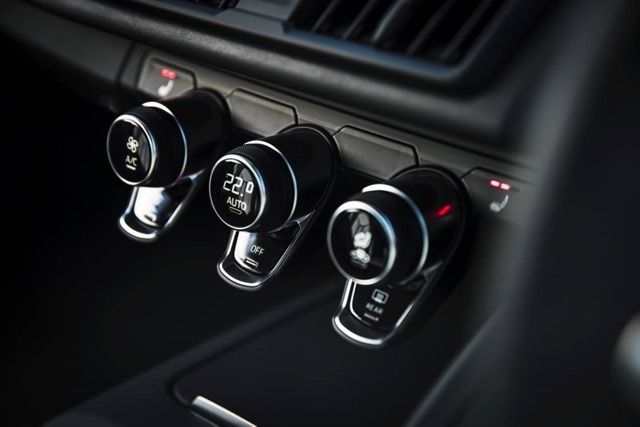 The new Cylinder-on-Demand system can shut down an entire bank of five cylinders under light throttle load, while the start-stop system is new to the Audi V10 engine. Among other efficiency technologies, these contribute to fuel consumption figures of 11.4 and 12.3 litres per 100km, for the V10 and V10 plus respectively. The quattro all-wheel drive system in the new Audi R8 is a completely new design and engineering concept. Now an electrohydraulic clutch distributes torque between the front and rear wheels, controlled by sophisticated software. Unlike the previous model, there is no fixed distribution. 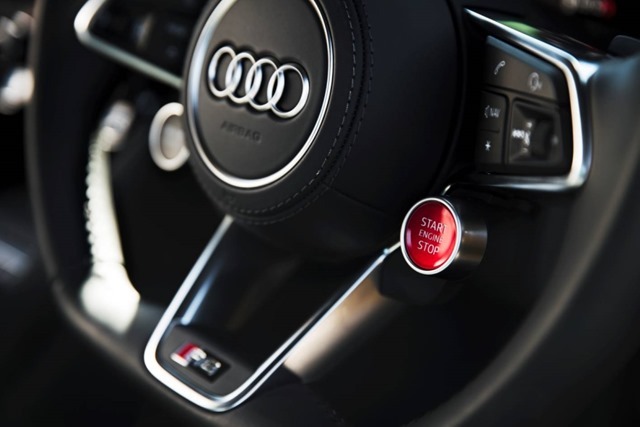 The front-to-rear torque transfer is fully variable, depending on Audi drive select and the driving conditions. 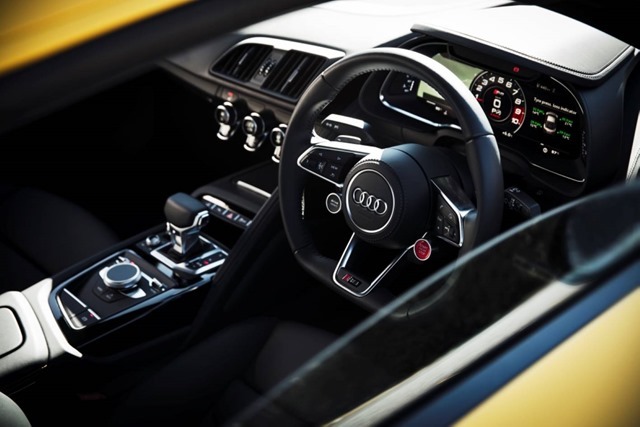 The perfect complement to this advanced new quattro system is the 7-speed S tronic dual-clutch transmission that delivers lightning-fast gearshifts. The chassis of the all-new R8 debuts a new concept of the Audi Space Frame (ASF). For the first time, Audi combines aluminium and carbon-fibre reinforced polymer (CFRP) to form the basis of the occupant cell. This advanced concept affords and unmatched combination of torsional strength and low weight. Indeed, the body weighs just 200kg (10kg less), while torsional rigidity has gained 40 percent. Elsewhere in the chassis, innovation can be seen in the new electromechanical steering system, Audi’s magnetic ride system and the double-wishbone suspension architecture that is derived from racing. Aerodynamics also represent a leap ahead, with a near fully-sealed underbody minimizing drag, and a rear diffuser and fixed spoiler combination that contributes more than 100kg of downforce at speed (V10 plus). 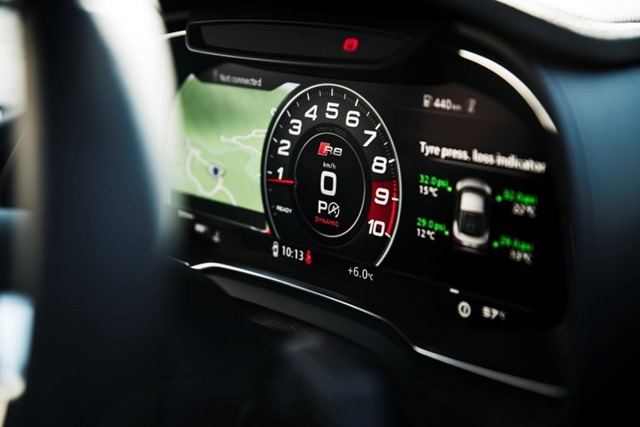 The all-new Audi R8 boasts more technology and advanced infotainment capability than ever before, with a very high level of standard features. The new Audi R8 Coupe is on-sale now.